Roku channels are one of the most powerful video platforms you’re not using. With 37% of America’s video streamers using their devices, there’s a lot of potential to reach new people and grow your business. But learning how to start a Roku channel can be a bit, well…confusing. The majority of resources out there are targeted at developers, and filled with acronyms or jargon that don’t seem to make any sense. There are no straight-talking guides that show you the fact. Well, there wasn’t. Until now. In this article, I’m going to show you all the different ways to start your channel, how much they cost, and just how long they take. That way you can choose the easiest, smartest most affordable option for your business. What Is Roku (And Why Should You Create A Channel)? Roku allows you to stream videos through your television. The most common Roku devices are HDMI sticks, or black boxes, that you plug into your television and connect to your WiFi. You can also buy Roku ready TV sets with the software pre-installed. Think of a Roku device in the same way you would your Smartphone. It allows you to choose, and download, a wide range of apps you can then open and enjoy. But, in the case of Roku, each of these apps is a TV channel you can stream. Put simply: you get your box, download your app and begin streaming video content. It could be anything from Netflix through to a dance class. Whatever it is you want to watch. But why should you create a Roku channel? First off, Roku has 19 million active accounts, making them the largest streaming device provider in America. Their sales are projected to grow year-on-year, meaning that more potential customers are using (or will use) their devices. As a content creator and business owner, this comes with some great benefits to you. 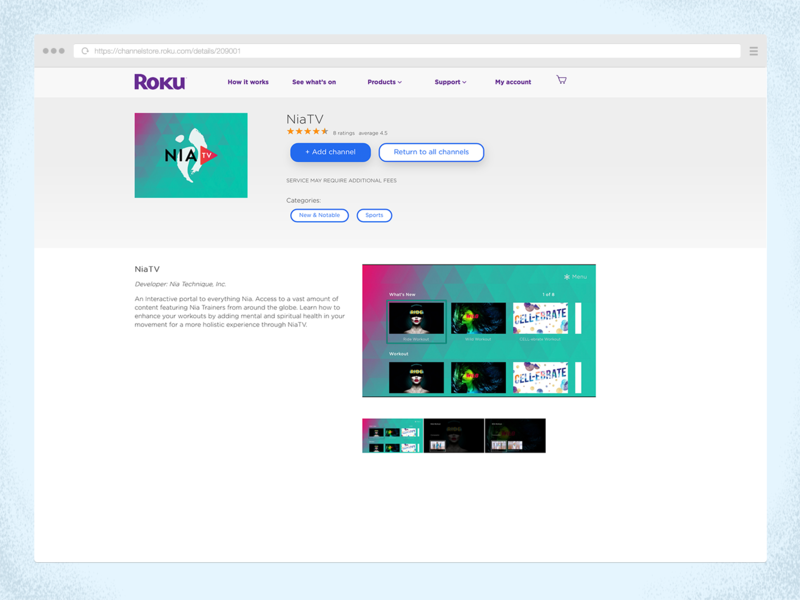 It will allow you to improve the experience of your existing customers who already own a Roku device by giving them a familiar way to interact with your content. You’ll also have the opportunity to reach a brand new subsection of people; potential customers who are already comfortable streaming content through their televisions, and are looking for more channels to interact with. If you run an SVOD (Subscription Video On Demand) service, this can be a great way to grow your following, attract new subscribers and increase your income. Companies like LuminTV have been using Roku to grow their subscriber base for the last few years. Roku is also helpful if you create free YouTube-style content for people to watch. Every channel is eligible for adverts or to join their revenue share program, meaning you can finally monetize all of those videos you’ve created. If videos make up a large portion of your business, there really is little downside to creating a Roku channel. So, if you see the opportunity and want to take action on it, let’s look at how you can set it up. They range from do-it-yourself, where you build a channel from scratch, right through to “leasing” options where you just have to share your logo and ideas. In this section, I’ll break down each method, how long it takes and how much it costs. That way you can choose the most effective option for your business. You’re given a set of follow-along screens where you can input information, much like installing new software on your computer. You’ll be asked to include things like your channel’s name and what you plan to stream. Once you reach the final screen, you’re technically finished. You’ve created the foundation of your channel where your viewers can find you. But this is really where the hard work begins. There are three bigger, more technical, tasks for you to take care of before your channel is ready for action. The first is to set up what’s called a Content Delivery Network (CDN). This is a third-party server that contains your videos and “delivers” them to your channel. Prices for this service range from $12.50 per month, through to $1000+. The second is to create what’s called a “feed”. This is a piece of code that tells your CDN where it needs to stream your content to. The code for this is pretty niche, and you’ll have to find a developer who can use the language. Costs for developers start at around $30 per hour on UpWork, through to $100+ per hour for a more established freelancer. Once your code has been created, you’ll then need to invest in web-hosting services to get your feed online. This works like hosting a website and could be added to your business’s current package. This is a really scrappy do-it-yourself method and requires a lot of up-front knowledge about how the platform works. Although it looks quick on the surface, it can take days or weeks to set up. And maintaining all of these moving parts can be quite tricky. Instant TV Channel is an independent service that allows you to create a TV channel, well…instantly. They specialize in helping developers and do-it-yourselfers create Roku TV channels. Although their website looks like it’s from 2001, they have a well-run and up to date service. The main benefit of using Instant TV Channel is that it removes the tricking coding element from the last method. Their software creates the “feed” for you, which can save you a lot of time and money on a developer. You’ll just need a subscription to Amazon Web Services for it to work, which is free for the first 12 months. However, you’ll still need to invest in some of the third-party software from the last method. Your channel will also be subject to Roku’s approval process. Although you shouldn’t have any trouble getting approved, it can take between one and three weeks. If coding was your only barrier in the last feed, this is a great do-it-yourself method if you have the cash to invest in a good Content Delivery Network. But it still requires a lot of technical know-how to get the separate pieces to work together. If the last two options sound a little complicated, don’t fret. The next two may be more up your street. If you have a healthy budget, you can hire an agency or developer to create a custom Roku channel. It’ll be built from scratch, by a professional (or team of professionals), to your exact specifications. This entire process usually takes between three to six months and prices are often between $10,000 and $20,000. That’s before you factor in monthly expenses of running the channel, maintenance, support, and hosting. The cheapest option would be to use a website like UpWork or Freelancer to find an affordable developer. They should be able to create a basic channel for you to work with without breaking the bank. But if you want a comprehensive channel with all the bells and whistles, you’d be better off looking for a higher-end developer or agency. It’s a big investment, but it will be worth it in the long run. You can either approach them directly, or advertise the job on a site like Stack Overflow. If you want total ownership of your channel, and don’t mind the large monetary investment, this might be the right option for you. But, if you don’t have this much money to invest, you may want to check out the final method. Leasing is one of the most efficient and cost-effective ways to create a Roku channel. This method requires you to rent the services of a company – like Uscreen – who already have Roku channels, Content Delivery Networks and hosting in place. They build your channel from scratch, help you to run it, and provide maintenance and support when you need it. The channel comes white-labeled and can fully customized to fit your branding. There aren’t any third party logos, so nobody can ever tell it’s being leased from a service provider. All you need to provide is the details like your logo and brand colors, and they create the rest for you. The entire process takes between 30 to 45 days and, when they’re finished, your channel is ready to go. You don’t need to pay over the odds for this kind of service, either. Uscreen offer leasing at $499 per month all-in. Lots of Roku users pay that just for their Content Delivery Network! For the duration of the lease, you’ll have the full support of their team, and they’ll regularly update your channel to make sure it’s running optimally. 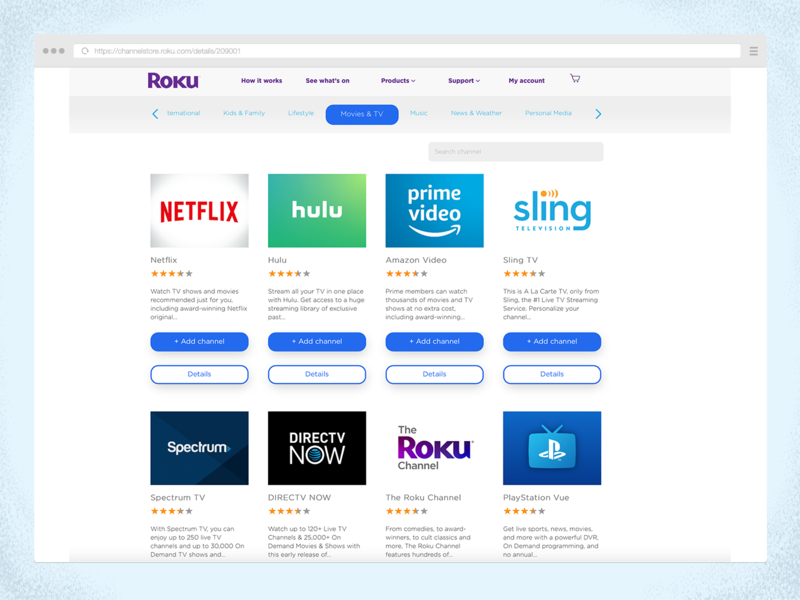 This type of service is great if you want to test and see if Roku is the right choice for your business. Or, if you’re working with a small budget and want to launch your channel without taking a huge financial hit. Roku is one of the world’s leading streaming device creators. They let users stream their favorite video content, through individual apps, through their television. Creating your own Roku channel allows you to reach a large audience of people, and create your own following on a new platform. With over 19 million active users there are lots of opportunities to connect with new customers. 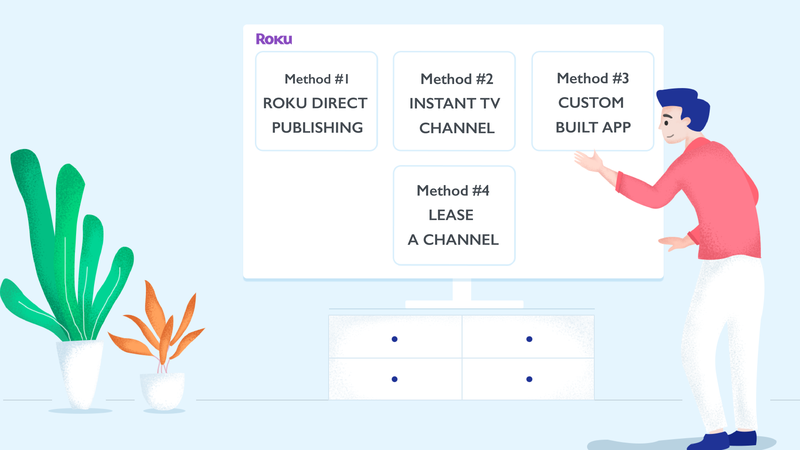 There are four ways you can create your own channel: Roku Direct Publishing, Instant TV Channel, Custom Builds, and Leasing. 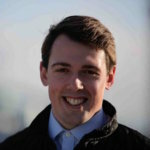 The first two methods require a lot of technical know-how and cash investment. You’ll need experience coding, hosting and using Content Delivery Networks. Or, have to hire someone who does. Custom building your app is a great solution if you have a lot of cash to invest. But, the process can take months, and you’re not always covered for maintenance and updates. The most efficient and budget-friendly option is leasing a channel. You can create a customized app, and take advantage of third-party content delivery and hosting, whilst having your app supported and updated by their teams. Closed captioning your videos can have a big effect on how successful they are. This does, however, require an investment of some time and money. Is the return worth that investment? The answer is yes, the return is 15% and here are 7 reasons why you should be adding subtitles to your videos.